Such a great idea. Some of my best memories are of picking fruit from trees, on the way home from school. If we were thirsty while walking, nothing was better than picking an orange, lemon, plum, nectarines, etc. We still talk about it today. 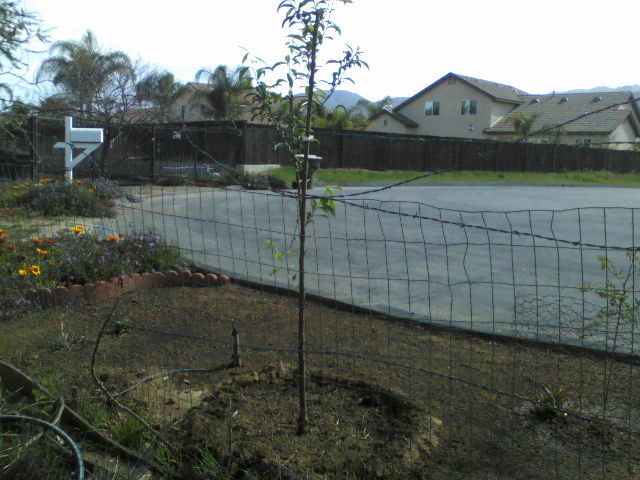 If somebody planted a new fruit tree, we couldn’t wait until it produced fruit. I often wondered if the homeowners knew how many children they nourished. Good times. Life was so much simpler not that many years ago. Saw this idea on PBS and thought why not. That’s pretty cool. If you were to walk past my house, you’d see a heavily laden loquat tree. Just the other day I saw a middle-aged couple stop and pick a freebie as they were walking by. I suggest you consider a loquat. They are really easy to grow, and unlike stone fruit, they aren’t susceptible to things like Cytospora Canker.